At some point or the other in our lives, we all need to visit a dermatologist. Dermatologists treat a variety of benign and malignant skin, hair and nail problems including hair loss, eczema and serious disorders like psoriasis and skin cancer. A cosmetic dermatologist can perform various procedures to improve your skin appearance. Yes, we are talking about chemical peels, injections and fillers to reduce fine lines and spots. When you decide you need a dermatologist, you need to choose one who can address all your concerns. Here are some tips on how to do that. Do You Need a Cosmetologist or a Dermatologist? There are two types of dermatologists, a general one and a cosmetic dermatologist as mentioned earlier. A general dermatologist can only help you with issues such as hair loss, acne or mild blemishes or rashes. 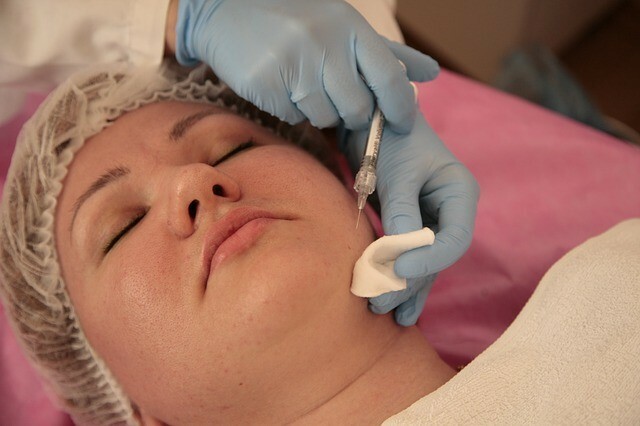 A cosmetic dermatologist can perform cosmetic procedures to reduce age spots, remove moles and other imperfections. So you need to choose the type according to your own need of the hour. Once you have narrowed down your choices, check out their bios and websites to make sure if they’re qualified to treat your skin condition. Credentials matter a lot. Any doctor can claim to be a dermatologist but specialized dermatologists have done an extensive research in their field. So choose the one with the best credentials. If must visit a dermatologist for a serious problem, ask him questions about his experience, how many people he has treated before and what is the success rate. Remember, the more experienced the doctor, the better the chances of successful treatment. A dermatologist who pushes expensive products down your throat is not doing you a favor. It simply means the particular doctor is more concerned with minting money off you rather than concerned about your health issues. If you feel that unnecessarily expensive products which don’t even address your personal concerns are being forced on you, please leave and never look back. Some problems which may be quite personalized also force you to consider the gender of the doctor. It is your personal decision. If you are more comfortable with a female or male doctor, you have every right to make your choice. Nobody may demean you or dispute with you over this decision. A highly personalized problem requires you to be comfortable with the doctor you are visiting. Ever visited a doctor who kept looking at the clock and seemed rushed and frazzled. Do you ever wish to visit them again? Exactly. A person who’s in a hurry or wants you out of his clinic within minutes is never a wise choice. You should choose a doctor who empathizes with your problem, gives you his full time and seems genuinely interested in helping you find the solution to your problem. Since skin medications can trigger an allergic reaction, a dermatologist you choose should be available on the phone even over weekends. A dermatologist willing to stay in touch with you once your treatment starts and who has the best aftercare is ideally the one you should go for. The dermatologists always have an on-call service for their patients. Remember, being stuck with a complication or an allergy is never pleasant so rather than being stuck in a rut, choose a doctor who will be available for queries after hours too. The good news is that most dermatologists have also telehealth platforms into their dermatology practice to make communication easier. A competent dermatologist is always in demand. If it takes time to get an appointment, don’t fret. Remember a person who successfully treats and satisfies his patients will always be in greater demand than the ones who prescribe generic solutions. So wait for a dermatologist who’s popular in his field even if you may have to pay a few extra bucks or wait for a couple of weeks to get an appointment. It’s better to be safe than sorry. Always remember, to trust someone with your face or skin is a big deal. So never just go to someone without doing your proper research or without a good recommendation. It always helps to ask around about a dermatologist you’ve chosen rather than just trust him blindly. There are too many people around nowadays, just waiting to take advantage of people who are too trusting. So weigh the pros and cons, be sure to do your research before choosing your dermatologist.